On a relatively cool Sunday with occasional rain showers and partly cloudy skies in the Grands Causses of southern France, New Zealand’s Ruth Croft (pre-race and post-race interviews) and France’s Sébastien Spehler (post-race interview) ran fast and strategic races to emerge as champions among competitive women’s and men’s fields at the 2017 Grand Trail des Templiers. 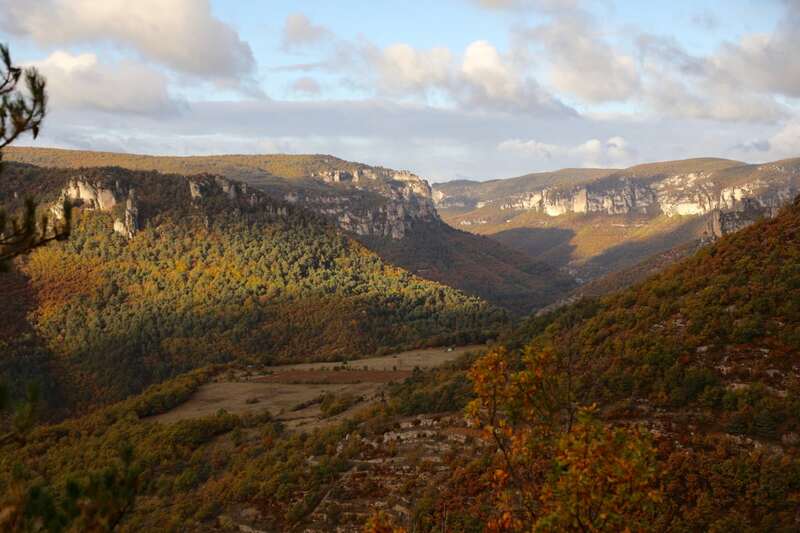 Les Templiers is a 76-kilometer (47-mile) race boasting 3,000 meters (9,800 feet) of climb with a goodly amount of it on more technical and steep singletrack in the race’s second half, following a more runnable first half. 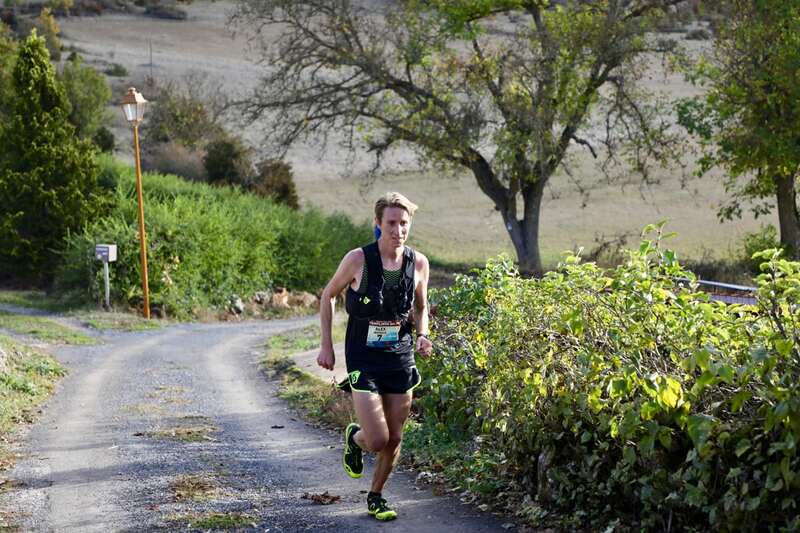 In addition to this article, you can find our full play-by-play of the race as well as a collection of our pre-race interviews and previews on our Les Templiers live-coverage page. The USA’s Camille Herron seems to know one speed, and that’s fast. It was, thus, no surprise that she led the women’s race at 9 kilometers. Ida Nilsson (pre-race interview) and Emelie Forsberg (pre-race interview), Swedes who live in Norway, were strung out two-three behind Camille, both trailing less than 30 seconds back. At 26k, the next point in which we saw the field, Ida had moved up front with Emelie still a half minute off the lead, now in second. 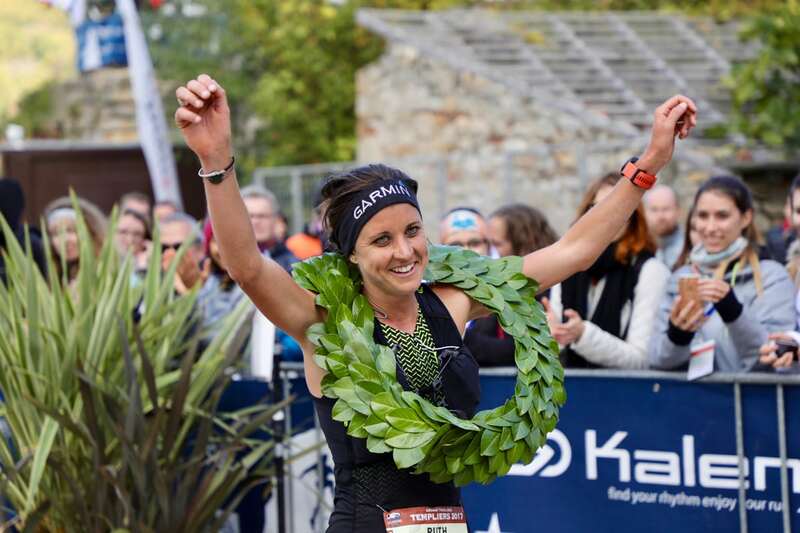 New Zealand’s Ruth Croft (pre-race and post-race interviews) and Sweden’s Mimmi Kotka–yes, another Swede!–were making statements now, running together in third place. Here, too, we had our first glimpse of Canada’s Anne-Marie Madden who was right in the mix, running in fifth. Five women, a third of the way through the race, all within a minute: yep, things were shaping up. Between there and the 35k point, Ruth moved up to join Ida in the lead. Both looked strong as they cruised through the aid station. In third and fourth, within 90 seconds of the lead and a couple seconds of each other, were Anne-Marie and Emelie. It was starting to look like a race of four, as these women were building a gap over the rest of the women’s field. The 48k point was another turning point, as Ruth was alone in first with a minute lead on second-place Ida. Five more minutes until we’d see another woman, this pair was also gapping the rest of the women’s field. It seemed clear that, barring something strange, the race for the win was now a race of two. At 65.5k, amidst the technical and at times steep singletrack that characterize parts of the race’s second half, Ruth recorded a nearly 11-minute lead on her closest chaser, but trouble brewed. She thought she’d get her personal nutrition at this water-only aid station, but crewing wasn’t permitted. Resultingly, she’d suffer and slow in the final 10k–a challenging 10k at that. Second-place Ida was still moving well and moving up on Ruth fast, decreasing Ruth’s 11-minute lead to 4.5 minutes at the finish line. Not enough real estate for Ida to catch up and plenty enough for Ruth to retain her lead, the duo put to rest their duel and went one-two in this dynamic women’s race. 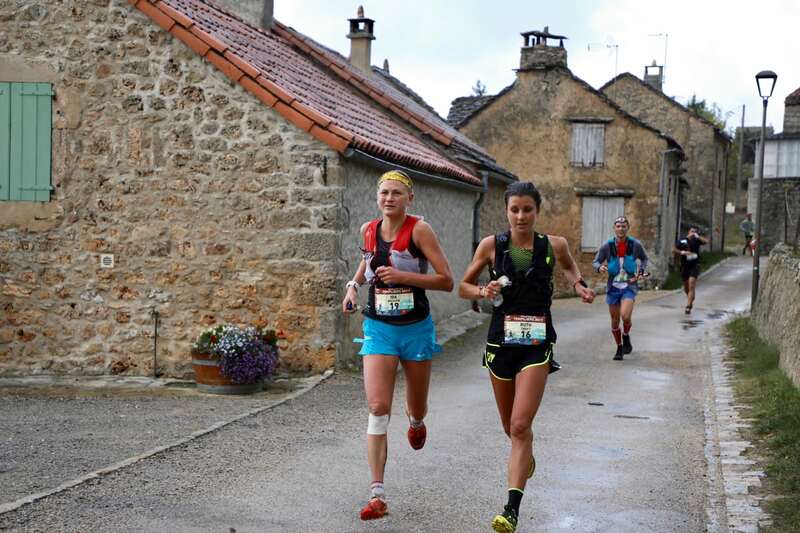 As for Anne-Marie and Emelie, Emelie moved ahead of Anne-Marie before the 48k point, and then gently created a gap to finish third, with Anne-Marie in fourth. Mimmi held tough for a fifth-place finish. 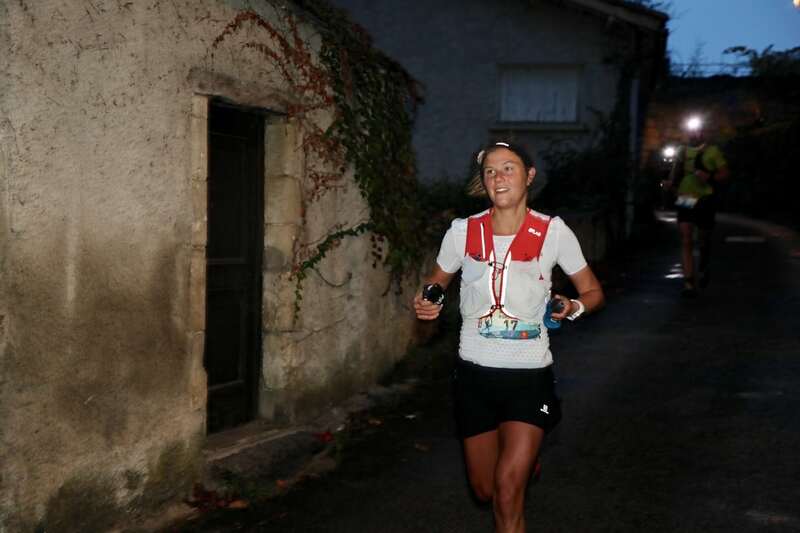 Camille would not finish the race, dropping at 48k. 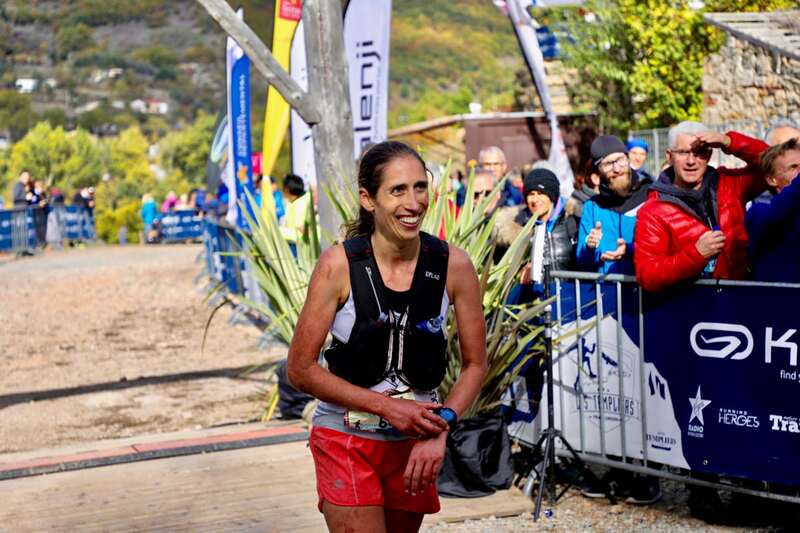 Reigning IAU Trail World Champion, France’s Adeline Roche, was an early drop–she entered the race with a bit of injury, gave it a shot, and ducked out after the first checkpoint. 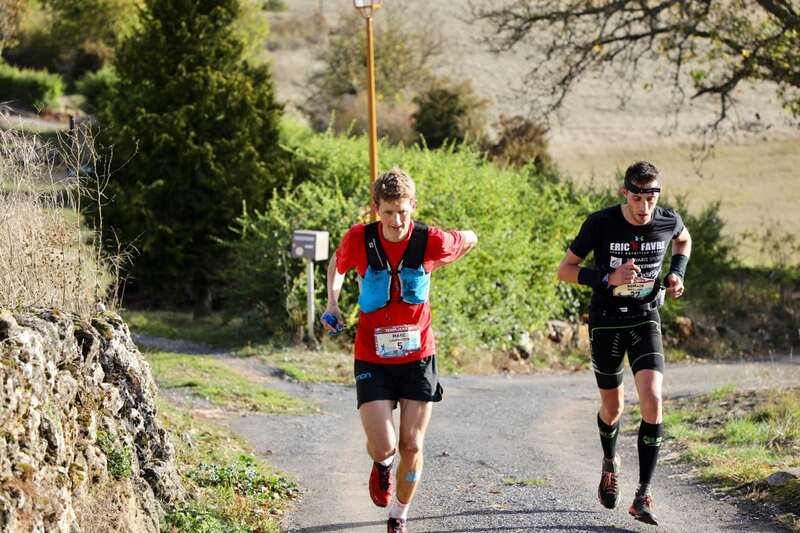 Nine kilometers into the men’s race of any competitive trail ultramarathon in Europe is like being 9k into a road marathon. The pace is hot and everyone is there. Les Templiers 2017 would be no different. Sweden’s André Jonsson led the massive pack of dudes. No joke, when we checked the numbers after the race, it was 30 men within two minutes of the lead. At the second aid station, 26k, the men had given each other some breathing room. Here, nine men ran within two minutes of the lead. This time, Finland’s Henri Ansio led the charge with André, France’s Sébastien Spehler (post-race interview), Switzerland’s Marc Lauenstein, and France’s Nico Martin (pre-race interview) in hot pursuit. Some expected top runners, like Sweden’s Elov Olsson, the USA’s Alex Nichols (pre-race interview), and Norway’s Stian Angermund-Vik (pre-race interview) occupied positions in the 20th- to 30th-place range, but they all looked okay. When we saw the men next, a leader had emerged. 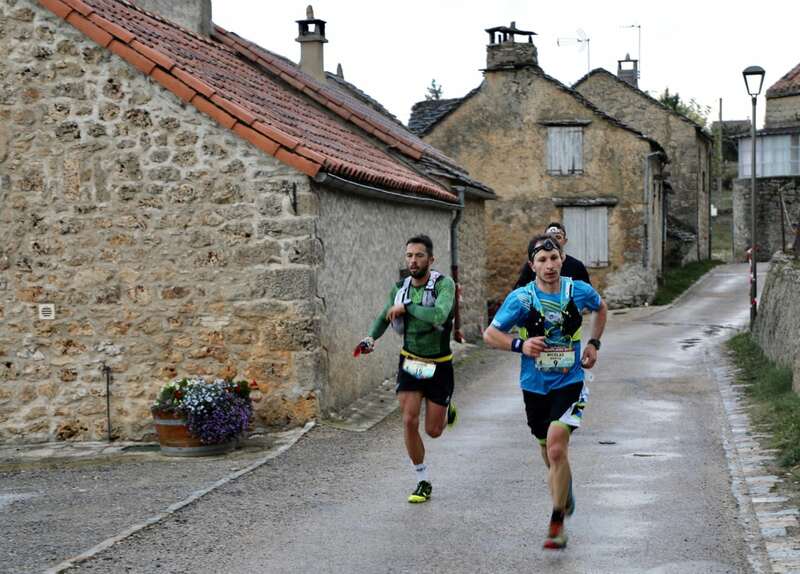 Sébastien led the charge at 35k, which is approaching the halfway point distance-wise but not even close to the midpoint in time–there’s a lot of racing left still–with no other man in sight. After a full minute, it was a rush of France countrymates Nico, Sylvain Court, and Romain Maillard together in second through fourth. The rest of the top-10 men came through before the five-minute mark, and this group included Marc in fifth, André and Henri working together in sixth and seventh, Morocco’s Rachid El Morabity in eighth, France’s Adrien Michaud in ninth, and Spain’s Jessed Hernandez in 10th. 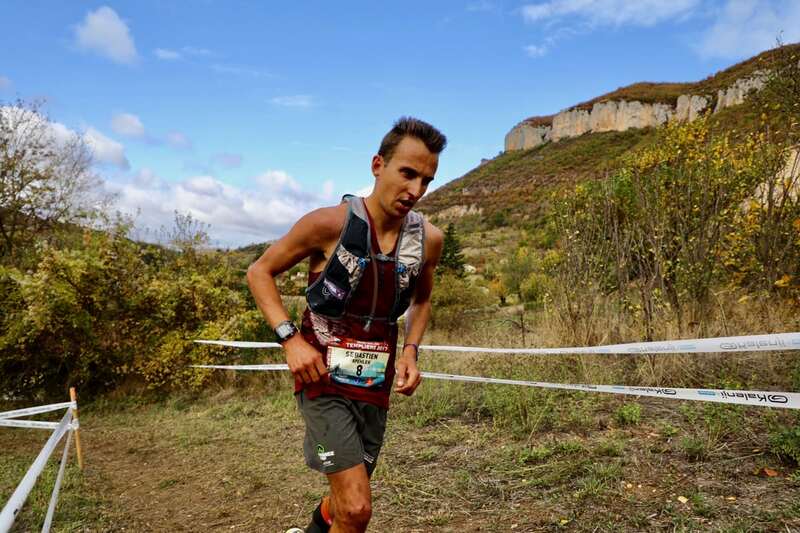 We next saw the men at 48k, and it was clear that Sébastien was seriously making a go of it, now with a four-minute lead. Trailing him was Nico, looking well, too. Romain and Marc ran in third and fourth. Surprise, surprise, who was now amongst the top-10 men? Grab your popcorn, after being in 18th place at 35k, Alex had moved up to ninth and was 11.5 minutes back. He looked well enough that we expected him to keep doing what Alex does best, running the second half of races faster than most of his peers. The only question was, how far could he move up? At 65.5k, with just a little over 10k to go, the game seemed almost over because Sébastien looked really strong and his gap over second place was now 6.5 minutes. The beauty of ultrarunning, though, is that anything can and does happen, so it’s only over when it’s over. In second was Nico, still there, still strong, and holding his own 6.5-minute lead over third place. In the end, the Frenchmen would cross the line one-two, with Sébastien the men’s champion. Back at 65.5k, Marc had moved up to third. But Alex was now in fourth, a minute out of podium position, and on the definitive hunt. While we waited at the finish, word from the final aid station at 69k was that Marc was holding onto third but barely, with Alex a couple seconds back. From there to the finish, Alex hammered home to third place and Marc arrived in fourth. Fun fact, Alex was just under 11 minutes back at the finish, about the same deficit he had to winner Sébastien some 28k prior. With a mix of men running close together in the race’s final third, Henri came out on top to finish fifth. Notable DNFs included both Sylvain and Rachid who bowed out late in the race after running inside the top 10 for a while. Any word on why Camille dropped? It seems like Camille drops out of quite a few races. Hope she’s doing okay. Congrats to Ruth on such a smart race! So fun to follow. Amazing women in that race!